Kaspersky Antivirus has been the name of trust since many years in the area of computer security and has brought exciting protection features to fight against threats which make your PC life more difficult. 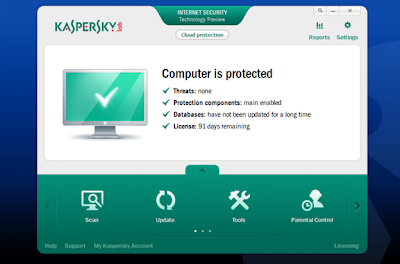 Kaspersky has released the 2013 version security suite which includes Antivirus, Internet Security, and Mobile Security. Now, here we will discuss about Kaspersky Antivirus 2013, its features and lot more. 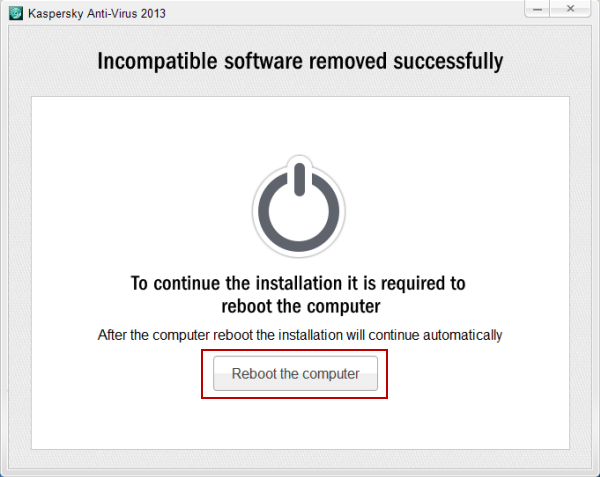 Kaspersky Antivirus 2013 software delivers amazing security performance and unique technology in preventing PC and internet threats. In 2013 version , Kaspersky introduced three key features like Automatic exploit prevention, less battery consumption, and Windows 8 compatibility. The performance issues would be there in 2013 version also, as it slows down your PC when running some important updates. Kaspersky Antivirus 2013 offers free trial version for 30 days which embraces full functionality and traits. It comes with easy setup but the most intelligent part of the installation is during the process it instantly removes inconsistent security tools and malware programs. And yes, there will a re-boot to complete the whole procedure. If you want to have the upgraded or full version, you should buy a license key preceded by a registration module. The appearance will be the same with little modifications and the customers who are used to the previous version would feel more comfortable than the new ones. There is a dedicated button for “Cloud protection” at the top with the security status in the middle stating the updates and condition of your PC. Minimize the security status to get the complete security features like Scan, Update, Tools, Virtual Keyboard, Quarantine, and software Upgrade. When you click on any feature, it shows you the inner modules and its functionalities. The rest of the things will be similar and simple as prior version. The latest “Anti-phishing Protection Engine” has all those defense mechanism to protect against web hackers who are trying to steal your personal data like passwords, credit card details, etc. Automatically prevent vulnerabilities like regulating the start of executable files, understanding the behavior of suspicious programs and stopping it from accessing or modifying your PC data through “Automatic Exploit Prevention”. “Optimized PC Performance” which shows less impact on online operations and the newly installed applications. In this new version, only the significant antivirus databases will be stored on your PC for improved execution. A new feature is added which helps in consuming less computer resources to tweak the battery power when using Laptops. The most important feature is “Windows 8 Compatibility” that provide higher protection with integrated Microsoft’s security features. Includes Startup Scan, ODS Scan and advanced spyware clean-up tools. It scans most critical and sensitive areas of infection first and then the rest. System Watcher – to detect unsafe and suspicious actions and removes them instantly. Excellent online protection especially when banking or shopping through internet. Anti-Rootkit technology to get rid of rootkits and related threats. Proactive Defense technology with roll-back option. Monitors system registry with advanced damage clean-up. Automatically downloads and installs latest features which save your precious time and effort.